The T2 Ultra reports to the Z Ultra in Sony's Xperia lineup - and is getting ready to take on a number of midrange phablets the competition has had for a while now. It will certainly try to position itself as a more affordable option of the Xperia Z Ultra but, at least at this point, the difference in pricing between the two doesn't quite reflect the difference in the level of equipment. The Xperia T2 Ultra has seen a drop in screen resolution and processing power, lost the IP certification and has a more common finish than the premium Xperia Z Ultra. What it offers in return is a more manageable size and superior imaging skills - the return of the LED flash and proper shutter key are more than welcome. The vastly improved battery life is another great plus - that was one of the the Z Ultra's most prominent shortcomings. The Snapdragon 400 chipset is par for the course and the dual-SIM option will be cheered in certain markets. 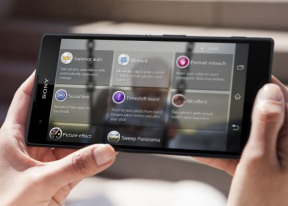 The Xperia T2 Ultra is running Android 4.3 Jelly Bean at launch but Sony has confirmed a KitKat upgrade is coming up. Sony usually delivers on such promises, so no reason to fear the T2 Ultra dropping out. Six-or-so-inchers are in a niche of their own but the competition isn't limited to Android. A number of 5.5" devices are viable alternatives too, so the Xperia T2 Ultra should be ready to deal with a lot of pressure. To begin with non-droids for a change, the Xperia T2 Ultra will hardly enjoy being squeezed - in terms of pricing - between a couple of Lumias. And we're taking some quite capable devices getting a real boost out of the robust 8.1 upgrade. Six inchers both of them, the Lumia 1320 and the Lumia 1520 represent a good choice of screen resolution and processing power for different budgets. Being closer, price-wise, to the 1520 will do the T2 Ultra no favors we're afraid. 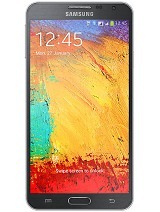 The Samsung Galaxy Note 3 Neo is the light version of the popular Note 3, sporting a 5.5" Super AMOLED 720p display and a snappy six-core processor. It has the S-Pen skills too, plus the feature-rich TouchWiz atop Android 4.3 Jelly Bean. Just like the Xperia T2 Ultra, the Note 3 Neo has a dual-SIM flavor too. Another 5.5-incher that's otherwise a near-perfect match for the T2 Ultra is the HTC Desire 816. The recently released LTE-capable phablet is powered by Snapdragon 400 and has a 720p screen and a 13MP still camera. It comes in dual-SIM flavor too. Of course, part of the point of having a midrange phablet is being able to respond to competitively priced options by up-and-coming makers like Huawei and Alcatel. The super affordable Huawei Ascend Mate, a 6.1" 720p display and a home-brewed K3V2 chipset, has just gotten a serious upgrade in the shape of the Ascend Mate2 4G. The latter brings LTE support and - you guessed it - Snapdragon 400 chipset, but with double the amount of RAM. The Alcatel OneTouch Hero even ups the screen resolution to 1080p, but skimps on the LTE. Anyway, at least for a while, the Sony Xperia T2 Ultra will probably suffer the most at the hands of no other but its own sibling, the Xperia Z Ultra, whose asking price isn't much higher right now. Yet, this isn't a classic case of the price failing to catch up with lowered specs. When it eventually settles, enough users will appreciate the much more usable camera and nearly double the battery life, in a friendlier size.